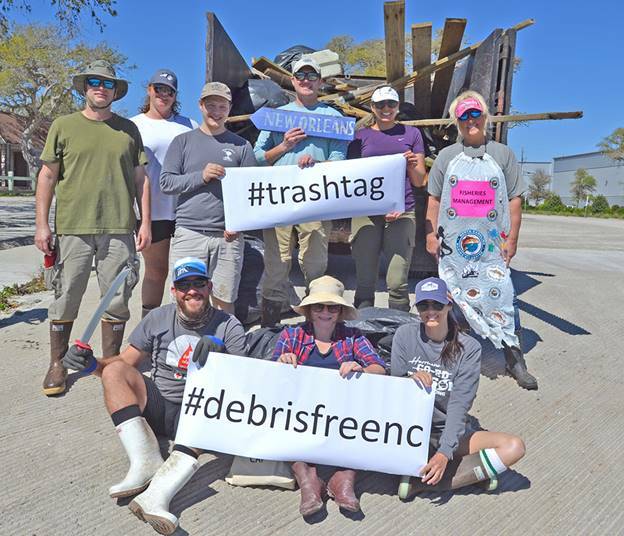 NORTH CAROLINA COAST — Earth Day is Monday, April 22, and Earth Day Network has kicked off a nationally coordinated volunteer cleanup for Earth Day 2019. The collaborative effort with partners nationwide, including National Clean Up Day, will have volunteers in cities across the country working with grassroots organizations to clean up this month green spaces, urban landscapes and waterways in Chicago, Dallas, Denver, Honolulu, Los Angeles, Miami, New York, Richmond, San Diego, San Francisco, Seattle, Washington, D.C., and other locations. As part of the Earth Day 2019 Clean Up, there will be an event in Oak Island 9:30 a.m. Saturday, April 13. 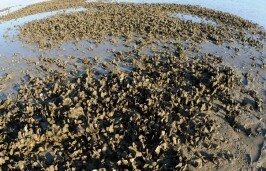 Volunteers can meet at Oak Island Recreation Center Building, 3003 E Oak Island Drive, for the marsh cleanup. Trash bags and refreshments are to be provided. Cleanup locations are added daily to the Earth Day 2019 Clean Up website, where volunteers can register or submit cleanup events. This 2019 event will be the foundation of the Great Global Clean Up in 2020, which will commemorate the 50th anniversary of Earth Day. If you can’t make it to a bigger city, there’s a range of events planned along the coast in celebration of Earth Day as well as cleanups that coincide with the day marked to recognize the planet. The Outer Banks is celebrating Earth Day 1 to 4 p.m. April 27 at Dowdy Park in Nags Head. Earth Fair OBX VII is an annual event designed to promote environmental awareness and inspire a sense of environmental stewardship along the coast. There will be a variety of activities at the event, themed this year, Positively Protecting Habitats. 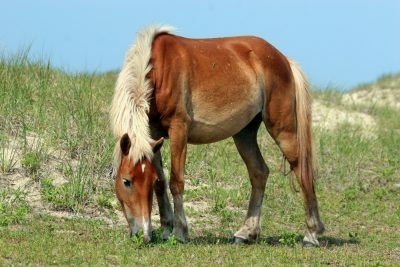 There will be representatives from organizations working to preserve the ecosystems and the Outer Banks. Attendees can learn how to implement sustainable earth-friendly practices at home, help with plantings onsite and learn the importance of alternative energy sources. 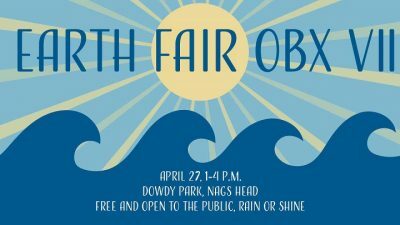 Earth Fair OBX VII is free and will take place rain or shine. For more information, contact Sara J. Hallas with the North Carolina Coastal Federation, at 252-473-1607 or sarajh@nccoast.org. More than a dozen organizations will be on site at Fort Macon State Park with displays and hands-on activities showcasing their conservation efforts during Crystal Coast Earth Day. Set for 10 a.m. to 2 p.m. April 27, the annual event will be held at Fort Macon Visitor Center. Visit the website to learn more. 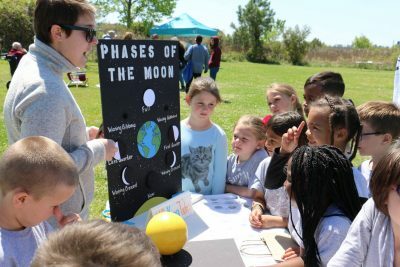 Hands-on environmental activities and displays for all ages will be set up for Oak Island Earth Day 10 a.m. to 2 p.m. April 18 at Middleton Park. Hosted by Oak Island Parks & Recreation Department, the North Carolina Aquarium at Fort Fisher, beekeepers, Sea Biscuit Bird Rescue, North Carolina Coastal Federation, and more will bring activities and information about conservation. To become a vendor or sponsor, call the Recreation Center at 910-278-5518. Visit the website for more details. Wilmington’s 2019 Earth Day Celebration at Hugh MacRae Park noon to 6 p.m. April 27 will feature exhibitors, vendors, live music, food and drink, outdoor games and more. The theme this year, “Change Your Actions, Change the Planet,” was chosen to show how humans directly impact the planet, and that the planet directly impacts humans, according to the organization’s website. The Wilmington Earth Day Alliance, with a mission to bring awareness to the community about Earth Day, organized the event. Food, beer and beverages produced locally in and around the Wilmington area are to be available for purchase and Culligan said it will provide drinking water to refill reusable bottles. Organizers say they want to make this a zero-waste event. New Hanover County Environmental Management and Wilmington Compost Co. plan to collect and compost food scraps from the event or any the public brings from home. Perry Smith and members of the OLLI at UNCW will lead a drum circle from 1:45-2 p.m. in front of the stage. There will be a tiny home developed and displayed by the Cape Fear Community College Sustainability Program, a marine educator trailer from the N.C. Division of Marine Fisheries, and other exhibitors. Visit the website to learn more. There will be displays and activities about some of the conservation success stories and projects at the aquarium. Visitors can also stop by the “conservation stations,” where special crafts and activities will be offered throughout the weekend. Party for the Planet activities are free with admission or aquarium membership. The aquarium is hosting additional Party for the Planet events including a dune grass planting April 22, a beach cleanup May 28 and a marsh grass planting June 8. Registration is required for these special events. The first Earth Day at Sturgeon City is set for 10 a.m. to 5 p.m. April 27 at Sturgeon City and Sturgeon City Park, 50 Court St. Jacksonville. The festival will include food and craft vendors, live animals, activities for kids, yoga demos and more making it family friendly and fun for all ages. Organizers expect to see the list of vendors grow as the event approaches. The free event is supported by the Jacksonville Tourism Development Authority and will vendors and exhibitors including Pelican’s SnoBalls, Eastern Exotics, Big J’s BBQ, Mosaics Unleashed, Infinite Yoga and Wellness, Onslow County Beekeepers, Pop-Nana’s Old Fashioned Ice Cream and more. Sturgeon City has hosted annual events for students centered around Earth Day. This year is the first Earth Day event being organized for the public at the education center. Learn More about Sturgeon City on the website. The nonprofit Friends of the Museum, which supports the North Carolina Maritime Museum in Beaufort, adopted the roadway from the eastern base of the new Gallants Channel bridge to N.C. 101 in Beaufort, as part of the North Carolina Department of Transportation’s Adopt-A-Highway program. The Friends’ cleanup starts at 10:30 a.m. April 16 on their portion of adopted highway. Organizers expect the cleanup to take about two hours. After the clean-up, lunch will be provided at Gallants Channel for volunteers. Adopt-A-Highway allows for organizations and businesses to help keep roadsides clean of debris. Signs have been installed on this section recognizing the Friends. To be a volunteer or get more information, email Gina Holland at gina@maritimefriends.org or call the Friends’ office at 252-728-1638. Cape Lookout National Seashore, the Foundation for Shackleford Horses, Carteret Big Sweep and Island Express Ferry Service are partnering to clean the interior portions of western Shackleford Banks April 13 and encourage the public to join in the effort to make the the beaches safe to visit as well as protect the wild inhabitants and scenic landscape of the natural barrier island. Island Express Ferry Service, the national seashore’s authorized ferry concessionaire, will provide free passage as well as coffee and donuts to volunteers who commit to the half day of cleaning up marine debris on the barrier island. Volunteers will need to meet at 7:30 a.m. at Grayden Paul Park on Front Street in Beaufort at 7:30 a.m. to board the 8 a.m. ferry and will return by 1 p.m. Participants should bringing a reusable water bottle and wear closed-toe shoes with a standard sole that can get wet while protecting the feet in shrubbery. Park staff also recommends volunteers bring sunscreen, insect repellent, gloves, snacks, and a grabber, if available, and the staff will provide buckets, trash bags and work gloves and water to refill volunteers’ water bottles. 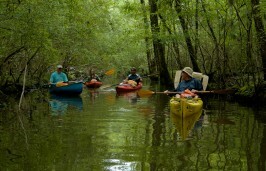 Sign up in advance by emailing sue_stuska@nps.gov or call Cape Lookout National Seashore Headquarters at 252-728-2250. There are a limited number of spaces available, so a waiting list will begin after the initial seats are taken. 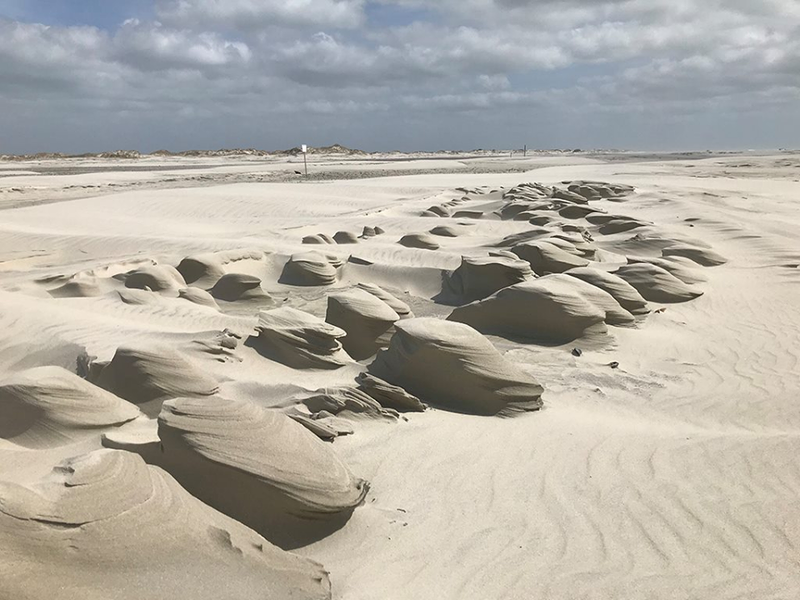 Cape Hatteras National Seashore and the North Carolina Beach Buggy Association are hosting from 8 a.m. to noon April 13 drop-in volunteer beach cleanups. Coquina Beach on Bodie Island. Meet park staff at the bathhouse. Old Cape Hatteras Lighthouse Site on Hatteras Island. Meet park staff in the parking lot. 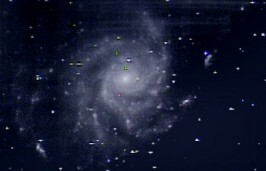 Day Use Area on Ocracoke Island. Meet park staff in the parking lot. Buggy association members will be stationed at the park’s off-road vehicle ramps where visitors can obtain trash bags for collecting litter during their visit. Participants are asked to deposit the trash bags at the ramp entrance for collection. Organizers recommend participants bring leather gloves, water, snacks and sunscreen and dress in appropriate clothing, such as closed-toe shoes and hats. For more information about Operation Beach Respect, visit NCBBA or contact Bill King at william.king@ncbba.org. 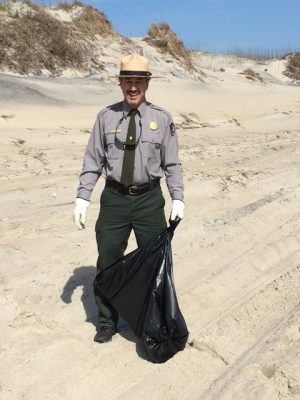 For additional information on volunteer opportunities at Cape Hatteras National Seashore, visit the website or call 252-475-9042. Surfrider Foundation Bogue Banks Chapter is hosting its second annual Sound Side Sweep from 8 a.m. to 2 p.m. April 20. There will be free coffee, free yoga, and a few hours cleaning up the waterway. Folks with boats, kayaks and paddle boards are encouraged to participate. Bring a reusable water bottle or coffee cup, closed-toe shoes, gloves and sunscreen. Message Surfrider Foundation Bogue Banks Chapter through their Facebook page for more information. “Hope Spots are about recognizing, empowering and supporting individuals and communities around the world in their efforts to protect the ocean,” according to the website. Hope Spots are areas in the ocean that are important for life in the ocean. Hope Spot Hatteras, designated in September 2016, is 40 miles off the coast of Cape Hatteras. Wrightsville Beach Cleanup 11 a.m. to 2 p.m. April 13 and April 20. Meet at Johnnie Mercer’s Pier, Access 18. This cleanup is sponsored by the Plastic Ocean Project and Wilmington Student Living. Morehead City Onshore Cleanup April 27. The clean up on Radio Island, 156 Radio Island Road, Beaufort, is along the Gallants Channel waterfront. Volunteers can park on site and should wear sturdy closed toed shoes and pants. Insect repellent, sunscreen and a water bottle are encouraged. This cleanup is sponsored by the Plastic Ocean Project, Carteret Big Sweep, and Crystal Coast Waterkeepers. Wilmington Cleanup from 9 a.m. to noon April 20. Meet at the corner of North MacMillian and Park Avenue. Parking on the stretch of grass on Park Avenue. Glove, bags and a vehicle to haul collected trash will be provided. This cleanup is sponsored by the Plastic Ocean Project and the Sierra Club Wilmington. Beaufort Fishing4Plastic Events is looking for volunteers to go offshore 7 a.m. to 3 p.m. April 13, weather permitting, with Procastinator Charters with Capt. John Cawthern. ​Contact bonnie@plasticoceanproject.org if interested. Donations appreciated to offset fuel expense. 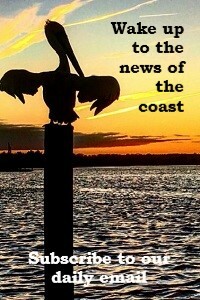 If we missed your event, send an email with the details to jennifera@nccoast.org and we will add it.